CEO Jason Gorevic also discussed the rising popularity of Teladoc's app over its call center. Teladoc Health has big plans going into 2019. From a business perspective, the telemedicine company anticipates becoming cash-flow positive this year, CEO Jason Gorevic said on a recent earnings call. And from an operations perspective, the company plans to pursue a "virtual first" strategy over the next year. In the full year 2018, Teladoc increased revenue 79 percent from $233 million to $418 million. Excluding the increases from the acquisition of Advance Medical, the company still saw a 59 percent year-over-year revenue growth. Total visits also increased by nearly twofold, going from 1.4 million in 2017 to 2.6 million in 2018. The company expects to do between 3.6 and 3.9 million visits in 2019, and may even hit a million in the first quarter alone. “I'm excited about the strong interest we're seeing and the sense of urgency in our discussions with existing and prospective clients to make virtual health services the front door to healthcare given the ever increasing cost of traditional healthcare models,” Gorevic said. 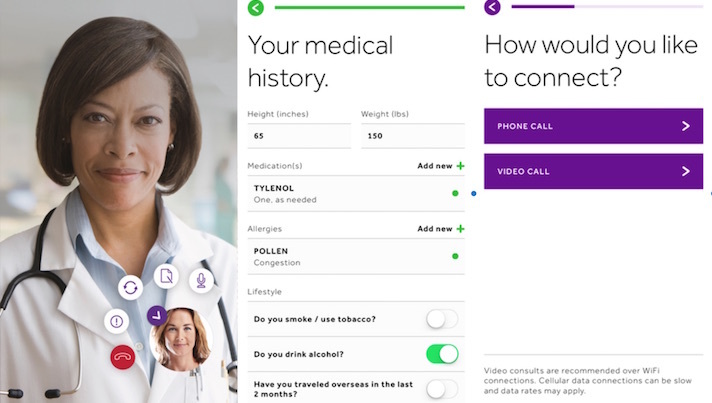 Gorevic said Teladoc Health’s increasing visit volume stemmed from both a growing acceptance of and awareness of telehealth as an option and the company’s own member engagement efforts. The company’s efforts to diversify its offerings beyond acute care have benefited the business by lessening the impact of 2018’s flu season, which was not as severe as 2017’s, on year-over-year earnings. Interestingly, Teladoc is seeing more and more business coming through digital channels like its mobile app, as opposed to its call center. Teladoc’s 2019 vision is wrapped around the idea of “virtual first" care, which means designing telehealth offerings through health plans and health systems in such a way as to encourage virtual visits as every patient’s entry point to healthcare. “The goal is to have the consumer come first to the virtual front door to be able to be guided to a virtual care solution or a more physical location and the traditional delivery system, then we need to make sure that we're available and capable of directing them appropriately and so we continue to invest in those capabilities and that is both technology and people to do that,” Gorevic said on the call. In a follow-up call with MobiHealthNews, he gave some examples of what that might look like. The company also has plans to expand international operations and to go after the Medicare Advantage population, thanks to recent telehealth-friendly changes at CMS. Gorevic mentioned several times that telemedicine is becoming more accepted and commonplace amongst both patients and physicians. He also described how hospital sales have changed recently.